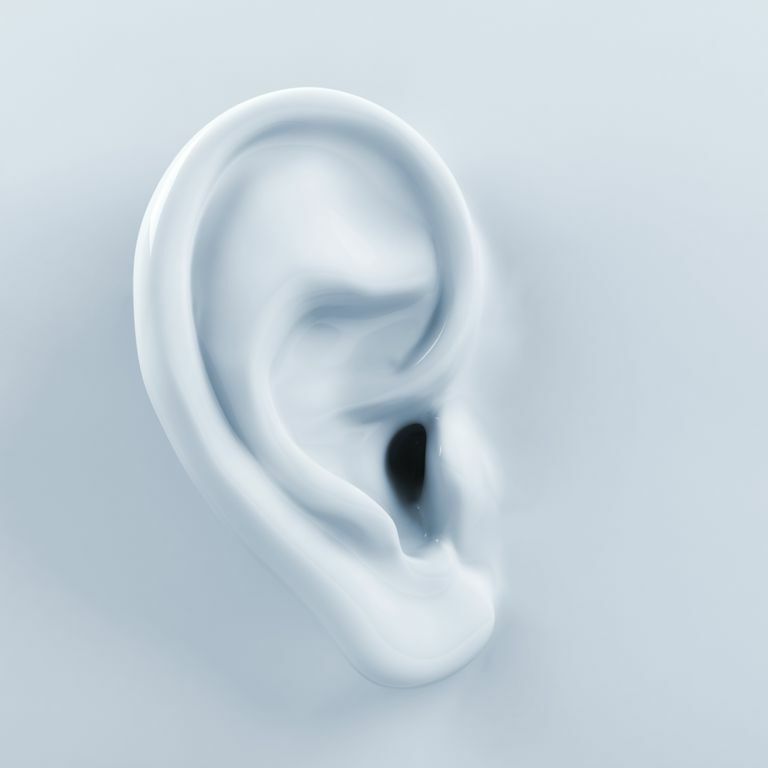 Meniere’s disease is a distressing condition of the balance organs of the ear affecting mainly men and women in their mid-twenties to late middle age. Because the features of Meniere’s disease are very similar to a number of other diseases, estimates of the incidence in the population are very variable but it may be around one in ten thousand. The condition is characterized by bouts of tinnitus, hearing loss and vertigo. It is progressive in its course with the bouts usually becoming more frequent and severe with time. In the earlier stages remissions can last many months. As with many other illnesses symptoms are made worse by stress. The most unpleasant aspect of the illness for most people are the sudden attacks of vertigo, sometimes associated with nausea and vomiting. The illness is due to a dysfunction of the vestibular apparatus of the inner ear – one of the body’s balance organs. Part of the mechanism of balance involves a membrane in this apparatus which sends signals to the brain. Excess fluid builds up in this area (endolymphatic hydrops) which damages the membrane thus sending misinformation to the brain regarding balance. The cause of this dysfunction is unknown but some cases may be due to viral or bacterial infections in the ear or head injury. There is some suggestion that an autoimmune process may occasionally be responsible. As mentioned earlier, other conditions can present in a similar fashion to Meniere’s. 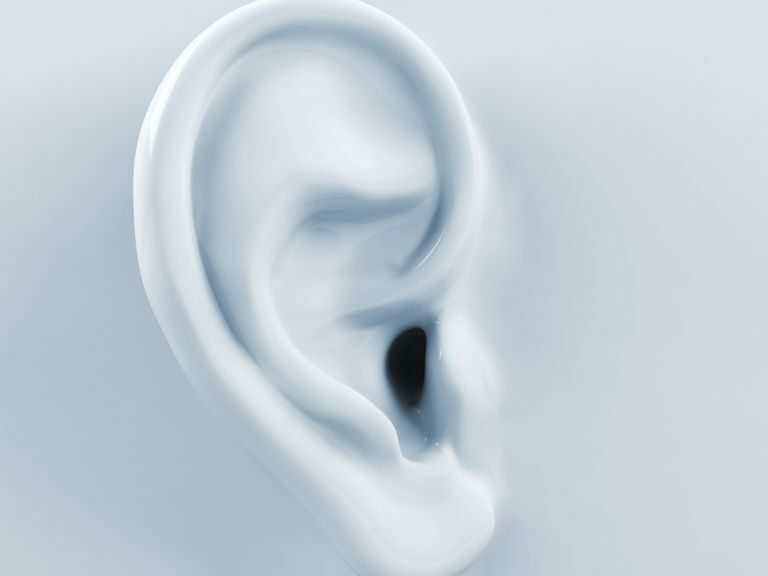 Infections of the ear and labyrinth (the area which houses the vestibular apparatus), benign positional vertigo, brain stem problems, acoustic neuroma and some drug reactions can all produce various combinations of the three cardinal features of Meniere’s. Diagnosis is made by establishing the presence of tinnitus, vertigo and deafness and the cyclical nature of the occurrence of these and by excluding other disorders. Depends on the severity of the illness. The common methods of management are listed below. Diet: low salt diet is thought to help. This tends to reduce total fluid volume in the body and presumably in the vestibular apparatus as well. Drugs: diuretics increase the output of urine and therefore reduce fluid volume. Acute vertigo and nausea can be helped by drugs like cinnarizine. Tinnitus support: various strategies exist to alleviate the effects of tinnitus, masking for example. Ablation: destruction of the balance receptors whilst trying not to damage hearing. It is either carried out surgically or with the injection of ototoxic drugs such as gentamycin. Only resorted to when the vertigo is severe enough to greatly effect quality of life. A non-invasive approach is used for various conditions which produce vertigo. The balance control system involves not only the vestibular apparatus of the ear but the muscles of the feet, legs and neck, the joints and the eyes. The aim of rehabilitation is to get the brain to pay more attention to the non-ear parts of the system and in effect ignore the signals coming from the vestibular apparatus. Patients are shown a series of exercises and encouraged to repeat them regularly. As with all methods of this type success depends on the patient’s commitment. When this is high then considerable improvement in quality of life is possible. A lot of people believe that Ariana has found the fountain of youth. If you look at her, she seems like your usual teenager. Therefore, it is quite difficult to imagine that she is already 23 years old. Since she appeared in Disney’s Victorious up until now, it seems like she has not aged a bit. 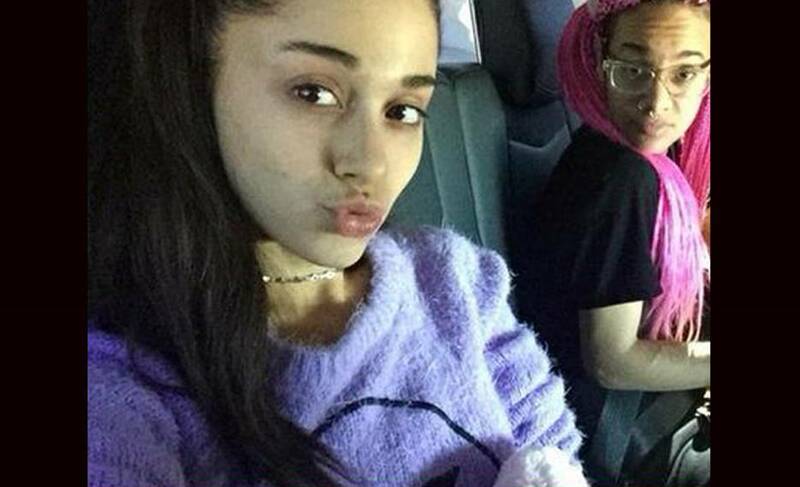 This is why seeing Ariana Grande without makeup won’t really surprise you. If she looks young with makeup, imagine how much younger she looks like without any makeup on. On a regular day, this is how she looks like. It seems like she is just heading to school to take the test. Sometimes, it makes men feel guilty fantasizing Ariana especially if she looks this young. She looks like your normal 15-year old girl. People usually accuse Ariana of being too arrogant. The truth is that she is just a simple, fun-loving girl, as reflected in this photo. This was how she looked like during her Disney days. It seemed like it was just yesterday. She didn’t age one bit. Ariana should just go for a full on makeup look all the time. It makes her look closer to her actual age. 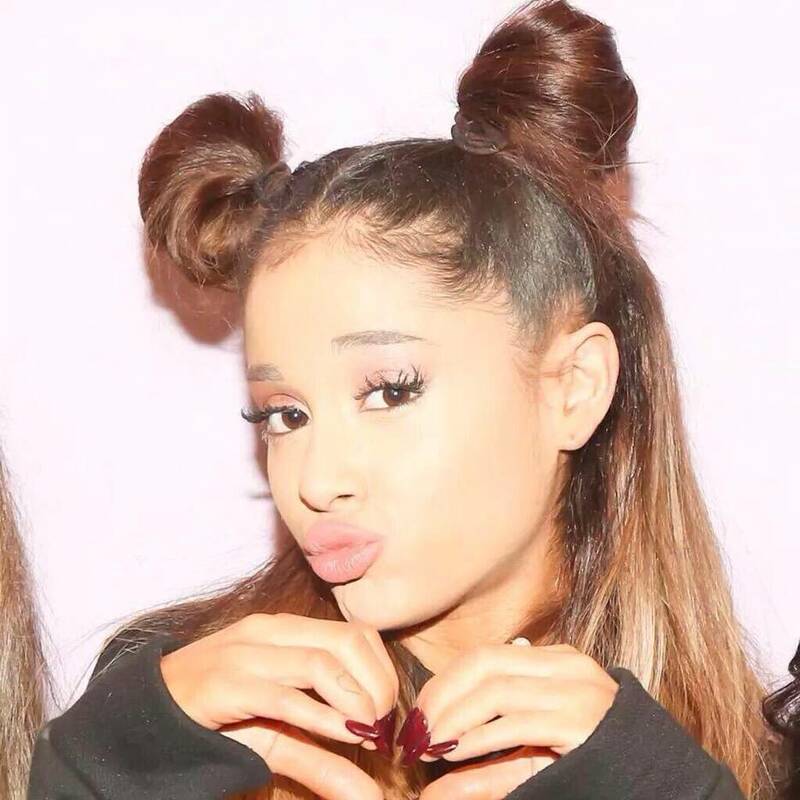 People make fun of Ariana for looking like a teenage girl even if she is already in her 20’s. If everyone else grows older and she still looks the same, she will surely be the envy of many. You don’t even want to compare yourself with Ariana as she strikes a pose with very minimal make up on. She is such a natural beauty. Not only is she not wearing makeup, she has also put on those nerdy glasses. She looked even younger! How could this be a face of a 23-year old girl? She looks really young and sweet. Other celebrities would give up anything to stay young and fresh like her. Even in this simple winter outfit, Ariana looks fabulous. If she has indeed found the fountain of youth, she has to protect herself! 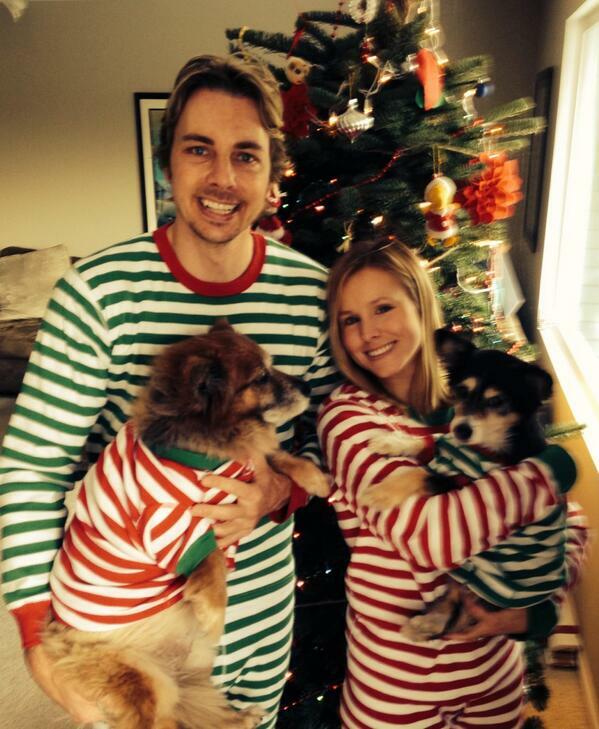 Kristen Bell and Dax Shephard are among the biggest celebrity couples in Hollywood. They are both successful in their chosen careers. They are also among the funniest people in the business. They have been together since 2007, but only married in 2013 after California legalized gay marriage. 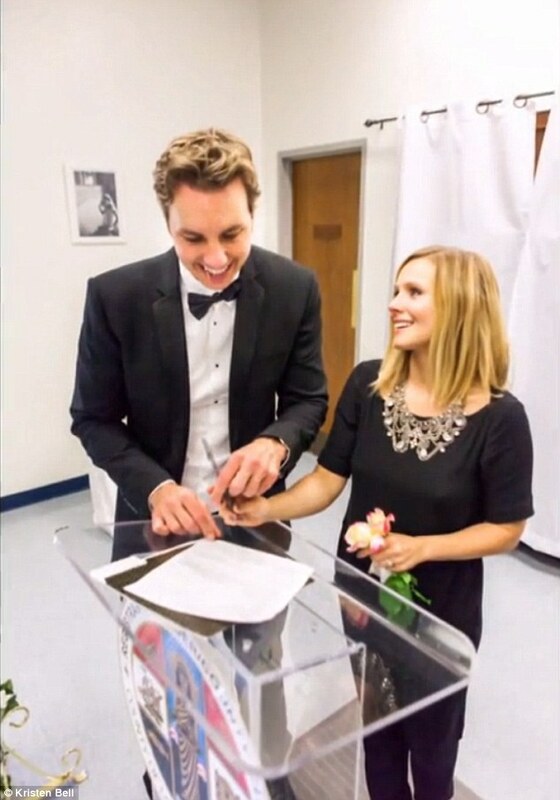 Even after waiting for a long time, Kristen Bell’s wedding was really simple. They had a low-key courthouse wedding, but it was still romantic. In an interview on Jimmy Kimmel Live! they revealed that the wedding cost only $142! Kristen Bell and Dax Shephard may be huge stars, but they have decided to get married in a very small and intimate ceremony. 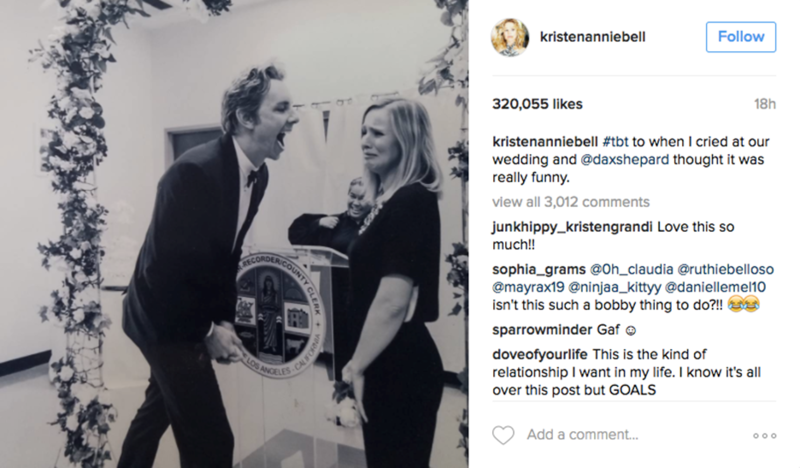 Years later, Kristen posted a throwback photo during her wedding where she cried and Dax just laughed at her. It was really cute. The two have been dating for a while so they have decided to just go for it. Without second thoughts, they decided to get married in a simple ceremony. The couple has been engaged for quite a while, but they decided to postpone their marriage up until gay marriage was legalized in California. They didn’t have a huge wedding ceremony though even when gay marriage was legal. The couple decided to have a courthouse wedding. It was very simple and only their closest friends and relatives were there to witness it. The couple decided to have a low key wedding celebration. They felt like they have always gotten attention, so it is time to make the wedding ceremony something simpler. Despite a very simple wedding celebration, Kristen said it was still one of the best days in her life. The couple seems really happy with each other. They really love their dogs, but now they have two kids to take care of. They are a very happy and big family now. Considering the fact that they are really big stars, Kristen said that it was a miracle that they were able to successfully pull off a low-key wedding. The couple has been together since 2007, got engaged in 2010 and finally tied the knot in 2013. As it seems, they are still very much in love years since they have gotten married. Honey badger is no longer a foreign name to anyone. There are those who are asking – are they even substantiated? There are those who want to know if such animals do not really care. There are tons of Honey Badger facts that have to be learned. What are these? 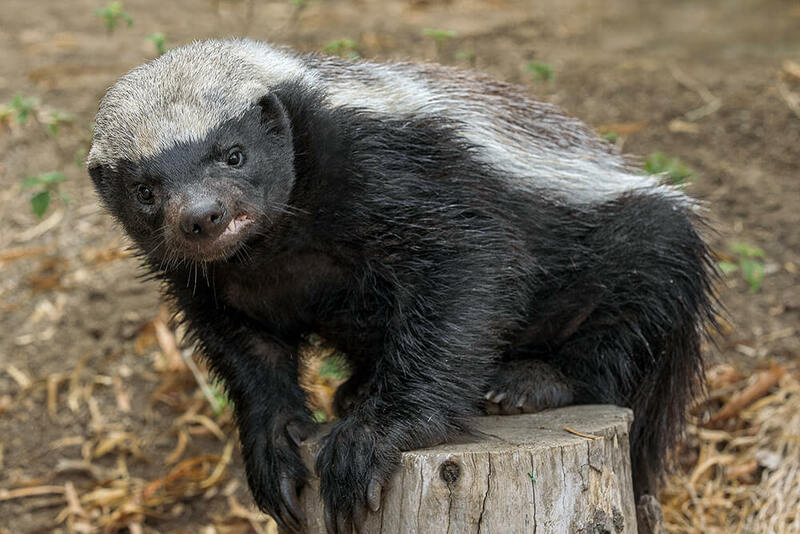 First of all, the name Honey badger pertains to an eater of honey of the cape. Its formal name is Mellivora capensis. Its common name is the aforementioned. It has been said that these little monsters are so fond of sweet stuff. That is where their name came from. The Cape on the other hand means The Cape of Good Hope. This is situated in South Africa. There are many who reside in there. There are instances when this pertains to India Home and Middle East. There is also another name which means ratel. This is an Afrikaans word. The animal somehow resembles that of Skunk. They share some similarities most especially in the physical aspects. Such honey badger has the ability to boast its dangerous gland. This may be done with the use of its tail’s base. This goes with a stinky liquid. The mentioned is utilized in order for a territory to be market. However, as the animal finds itself stuck in distress, and then a stink bomb will be released. There is a biological kneejerk in here. It is somehow different because it is rotten. They are known to be sister scent-leaver. Honey badger can dig so deep. They do this with the presence of their long claws. They do this in order for them to rest. They can even do this on a daily basis. This may be done anywhere. This may be in the ground. These can be in the trunk of a tree. There are times when they also look for old termite mound. Whenever there is a need to dig for a hiding hole, and then they can do this in just a number of minutes. They do this by utilizing their natural excavation skills. This is a way for them to have a prey captured. If there is one downside they have though – it is that they are always lazy when it comes to the process of housekeeping. This Honey badger will not make its own bed. This is for sure. It will also be shy in making a home using other’s place. This is unlikely to happen as well. These creatures find comfort in the dens of aardvaks. They also feel this way in most tunnels where in mongooses, foxes and springhares are situated. As a matter of fact, it does not matter what the hole or the crevice is. It will be enough for the honey badger. Adapting is not hard for them. These animals are diurnal during winter. However, if there is a need for them to avoid any interaction with humans, they can also be nocturnal. The said mammal may be cute. But then, they can be mean. They can always pick a fight. George Washington Carver became popular as an African-American inventor and scientist. He was also best known for the various uses he was able to devise using peanut. Many facts about George Washington Carver would agree that he was born from slavery. This was in Diamond, Missouri. This happened in the year 1864. This was considered to be the same year of his birth date. There was no specific information about this. Regardless, Carver turned out to be a well-known scientist and inventor. He was also a teacher as he worked at the Tuskegee Institute. Since then, he was able to come up with almost 100 products. He did this with the use of peanuts and crops. These included plastics, gasoline and dyes. He died way back the year 1943. He started off as an inventor and a botanist. Carver was only one among the many children of Giles and Mary. These were enslaved couple who were by that time, being owned by Moses Carver. He was given birth in the Civil War years. This was in the year 1864. A week after his birth, George was kidnapped right away. This happened with his sister being taken away from his mother too. This took place in their farm. This was undertaken by raiders which were only from the Arkansas, and its neighboring state. This was done because they were then sold in Kentucky. This was with the infant George. This was also located in an agent of Moses Carver. His return to Missouri was realized at this point. Slavery ended in Missouri along side the end of Civil War. This was the scenario in 1865. During that time, Carver and his wife decided for George to be kept. This was also done with his brother whose name is James. Keeping him was done at the comfort of their home. They were raised and educated. It was George who was taught to read and write by Susan Carver. This had to be done because during those times, no local school would be open in accepting black students. He searched for knowledge the moment he was given the chance. This was the driving force that almost made his life. Being the young man that he was, he had to leave his Carver home. He did this to travel to school. This was intended for black children who were just 10 miles away. During this point, he was dubbed as George Carver. He attended many schools, a series of them actually. He did this prior to him receiving his diploma at the Minneapolis High School. This is directed towards Minneapolis, Kansas. There was a time when he was declined of admittance too. This occurred when he was about to go to Highland College just in Highland, Kansas. This happened because of his race. This led him not to attend classes anymore. Instead, he had to homestead a claim. He also took his time in conducting biological experiments which were compiled eventually. 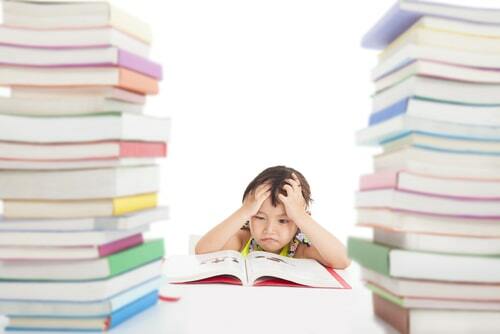 Back to School with ADHD: Is the Medication Vacation Over? As parents and students gear up for the back to school routine, many are considering whether to resume the medication regimen or consider other options. There is no doubt that in many cases prescription intervention for ADHD seems less choice than mandate. In these cases, even considering other options seems tantamount to setting children up for school failure. In other cases parents and students have a little wiggle room. If you are on the fence here are some ideas to try and things to consider before you head to the pharmacy. Schedule a meeting of all potentially impacted players (this includes students if they are old enough to thoughtfully participate in the discussion). Outline past challenges, establish behavioral goals and brainstorm possible solutions. It will be important here to leave no stone unturned. Explore even those options that seem silly at first. Someone else participating in the discussion may be able to tweak the idea so that it works. Try your idea for a couple of weeks, then get back together to make adjustments or changes as necessary. It is important to maintain regular contact with teachers to share ideas and offer encouragement. Parenting children with ADHD is challenging. Teaching children with ADHD is challenging, too. Teachers need support and encouragement from parents. Some of these include dietary changes (such as switching to the Feingold diet), herbal remedies, frequent positive intervention and biofeedback. It is easier to adopt a supportive, realistic approach to managing ADHD when you understand what it is and how it impacts your child’s behavior (hint: children aren’t usually just trying to be difficult or annoying). If you choose the medication route, avoid choosing a prescription remedy based on a commercial or advertisement. Do some research. Talk with your child’s pediatrician, visit related websites and read the fine print. Many medications for ADHD have several pros as well as cons. You must weigh both carefully as you decide. Whether you do or do not take the medication route, keeping a journal can be helpful. Your journal can help you identify patterns or triggers that highlight the information you need to develop a successful behavior modification plan. If you have decided on medication, a journal can help you keep track of any behavioral changes (good or bad) and make it easier to talk with the doctor about concerns and improvements. Finally, no matter what it looks like parents and teachers of children with ADHD should remember that children want to be successful. No child wants to constantly find him or herself on the receiving end of another’s frustration or disapproval. Being compassionate helps adults look for and implement creative solutions for kids with ADHD.